New driver pushes pedal to the metal. 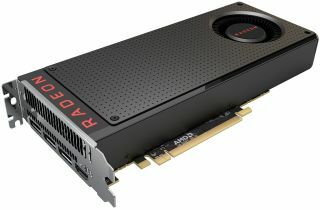 Following the recent launch of a pair of mid-range Polaris parts, the Radeon RX 470 and Radeon RX 460, AMD has a new Crimson driver available to support the new cards, version 16.8.1. And for those of you who already went out and purchased a Radeon RX 480, the latest Crimson release fixes an issue in which the maximum memory overclock available for your card through the Radeon WattMan utility is "too low." Overwatch may experience an application crash on some Radeon RX 480 configurations when using AMD Crossfire technology mode. DOTA2 may experience lower than expected performance when in AMD Crossfire mode. Radeon Settings may not report the correct Vulkan driver or API version information. Firefox may experience an application crash when hardware acceleration is enabled for content playback. Low frame rate or stutter may be experienced Wolfenstein: The Old Blood on Radeon RX 480. Crimson 16.8.1 is a relatively minor driver update. Other than stomping out some bugs and adding support for the Radeon RX 470 and Radeon RX 460, there's a new Crossfire profile stuffed in for Codemasters F1 2016. AMD still has some work to do in anticipation of its next Crimson driver update. The release notes for this version list nearly a dozen known issues, including stuttering and flickering in several games under specific situations. There's also an annoying quirk where games may fail to launch or crash if the AMD Gaming Evolved overlay is enabled. AMD's working on a fix, but in the meantime the only workaround is to disable the overlay.